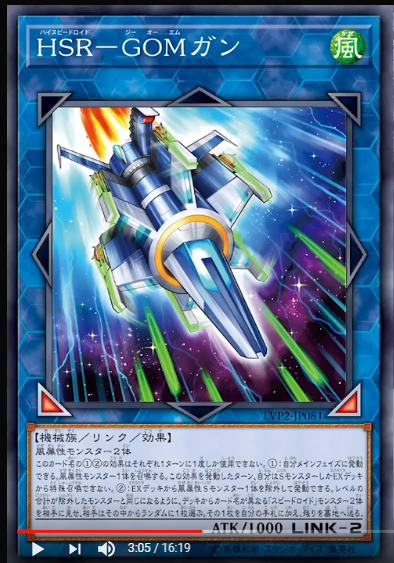 A Link for Speedroid Decks is revealed, meant to high speed accelerate their Dueling style even further. And it’s from one of the most popular Japanese YouTubers. (1) During your Main Phase: You can activate this effect; immediately after it resolves, Normal Summon 1 WIND monster, but for the rest of this turn you cannot Special Summon monsters from the Extra Deck, except Synchro Monsters. (2) Banish 1 WIND Synchro Monster from your Extra Deck; reveal 2 “Speedroid” monsters with different names from your Deck whose total Levels equal the Level of the banished monster, your opponent randomly chooses 1 of them. The chosen card is added to the hand, while the other is sent to the GY.